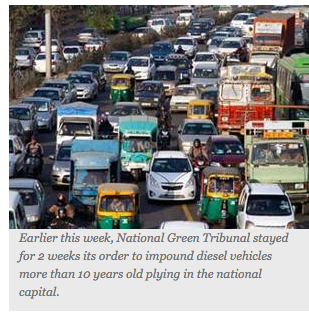 “While hearing a petition against high air pollution levels in Delhi, the National Green Tribunal bench on Friday said it will widen the scope on the case to include all other states affected by pollution. NGT issued notices to chief secretaries of all states and union territories seeking status on prevention of air pollution with regard to vehicular traffic. Notices will also be issued to state governments directing them to come up with ideas to counter air pollution in respective states.” The Times of India. Read it on delhiair.org.